We have a treat for all you camera trappers out there, especially those with tons of photos lying in the depths of your hard drives gathering virtual dust and cobwebs. 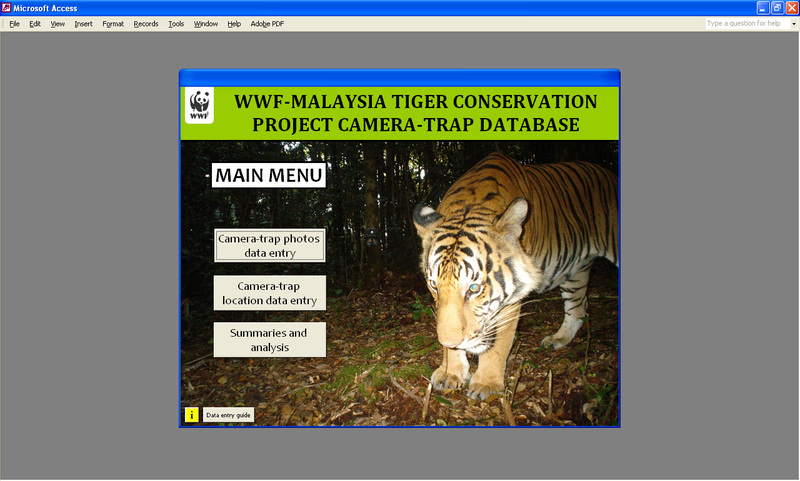 Shariff Mohamad, who is a field biologist with WWF-Malaysia, has developed a database for camera trapping data. 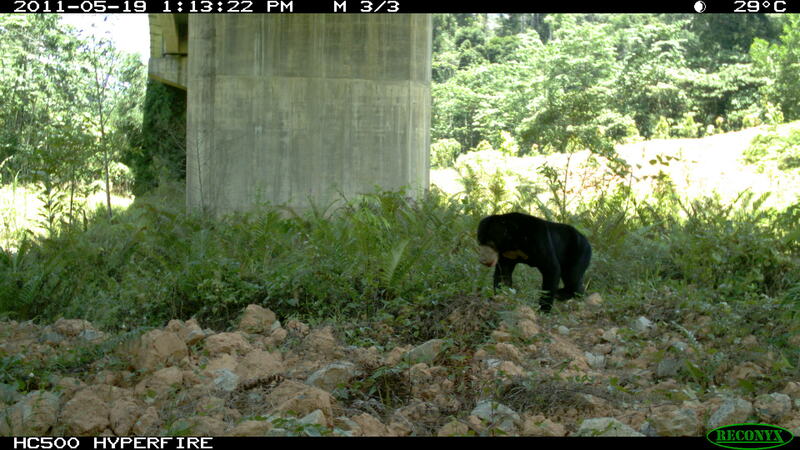 He is delighted to share his software to make the lives of disorganized camera trappers much easier when it comes to processing camera trap photos for statistical analyses. By the way, Shariff was also one of the authors of the very useful guide to camera trapping in the previous Toolbox update #4. So take it away Shariff! Happy new year everyone! The reason I am sharing this is so that camera trappers have an alternative database solution apart from the popular software Camera Base. Unfortunately, there are hardly any camera-trap databases available for public use, so I thought it would be useful to offer an alternative to people out there. I initially considered using Camera Base while looking for data solutions, but in the end decided to create my own using the same platform (MS Access), as at the time I couldn’t figure out how to customize Camera Base according to my specific needs. I want to clarify that I don’t consider my database superior to Camera Base in any way, but am merely providing an alternative data solution for those with similar needs. Like the fantastic wildlife photos we’ve been capturing through our camera-trapping work?? Well, using a camera-trap can seem daunting at first, but it’s easily learned, and constant practice will help you hone your skills in no time. We at Rimba owe our camera-trapping experience to our dedicated and hardworking wildlife biologist friends over at WWF-Malaysia. Having carried out biodiversity monitoring work in Peninsular Malaysia since 2005, these tireless field scientists have scoured miles and miles of inhospitable terrain and camped out in dense jungle for weeks at a stretch, all in search of that perfect camera-trap location to obtain valuable evidence of elusive wildlife. They’re now one of the most experienced and knowledgeable researchers when it comes to camera-trapping large mammals in tropical rainforests.